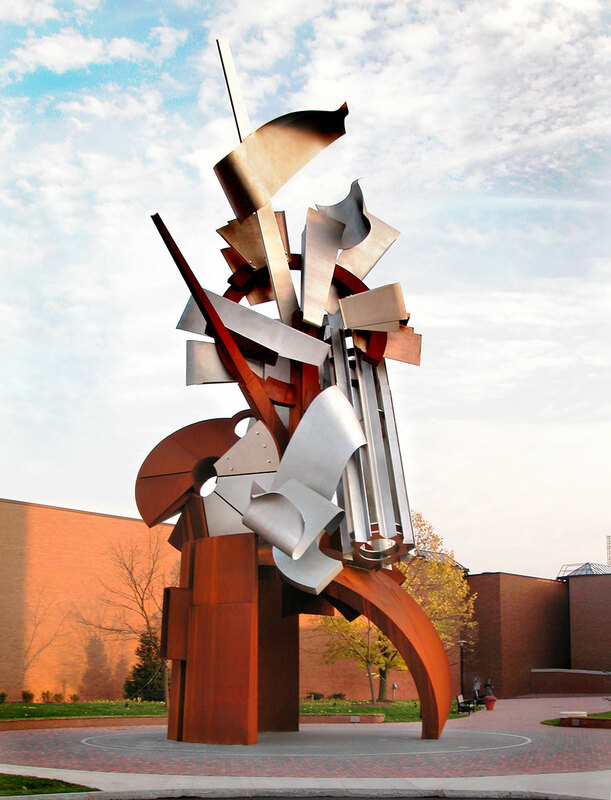 Albert Paley is a metal sculptor and artist. 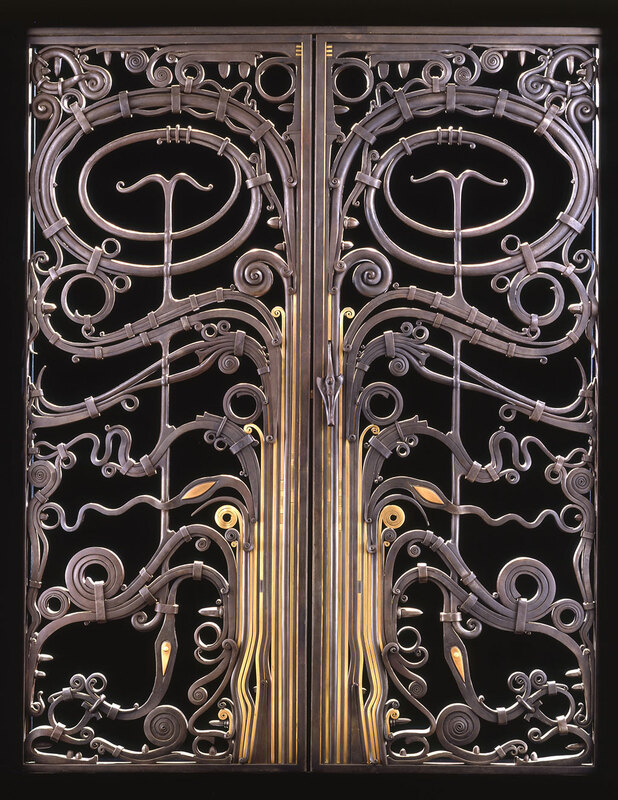 Beginning as a goldsmith, Paley’s work has evolved through time and technology to a monumental scale. 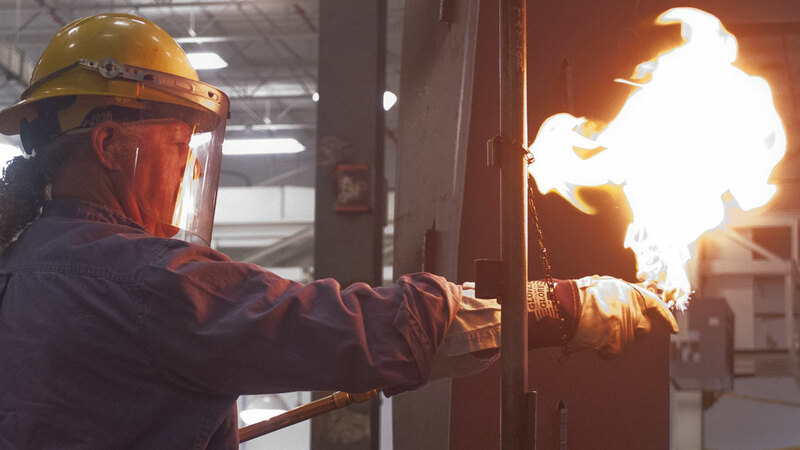 From first mental image, to drawings, to cardboard models, to CAD (computer-aided design) maquette, to final multistory welded steel sculpture, we discover that despite infinite advanced technology, the hand is still Albert Paley’s most important tool. 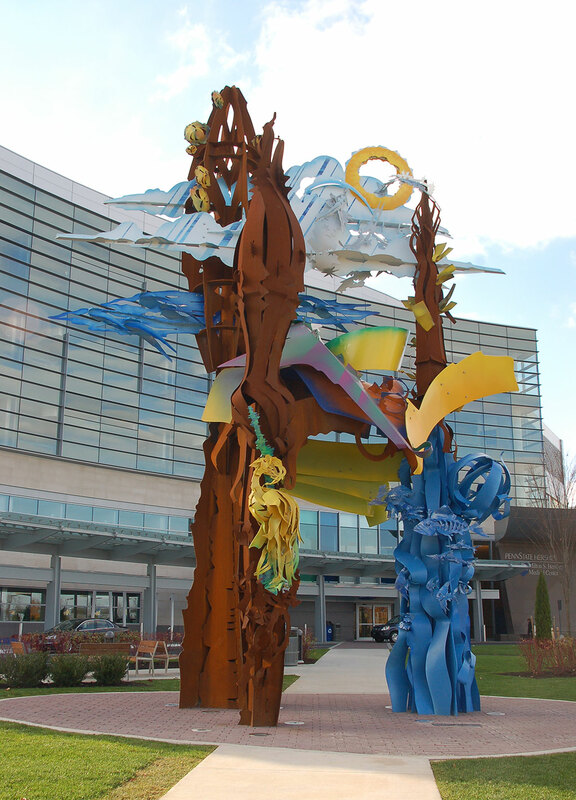 Paley is the first metal sculptor to receive the coveted Lifetime Achievement Award from the American Institute of Architects, the AIA’s highest award to a non-architect. 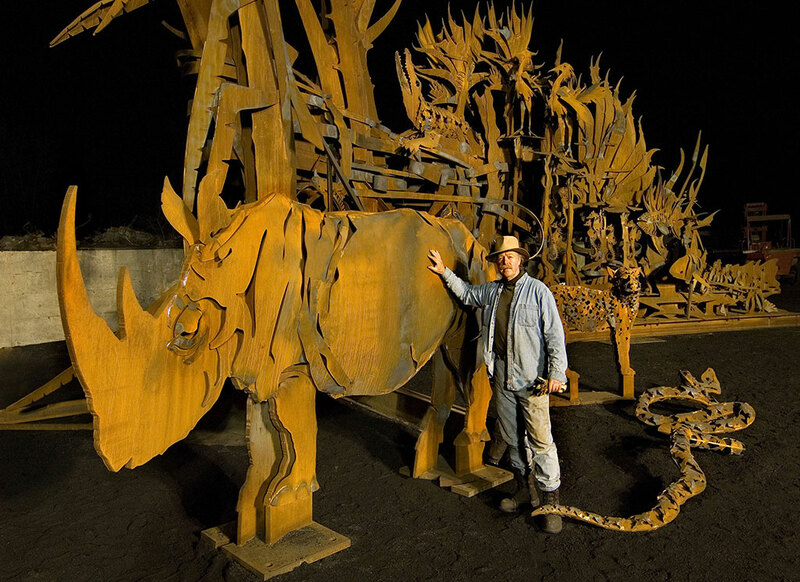 His body of work includes more than 50 site specific sculptures such as Animals Always, 2006 at the St. Louis Zoo; Sentinel, 2003 on the grounds of the Rochester Institute of Technology; and Genesee Passage, 1996 at the Bausch and Lomb Headquarters, Rochester, NY. 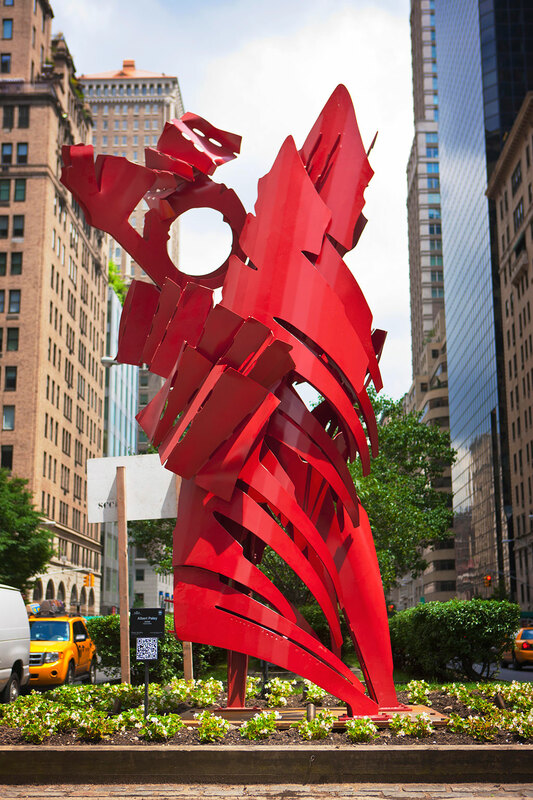 Paley on Park Avenue: New York City is a crowning achievement to a career forged through time, tempered with limitless creativity, determination, and passion.